Sturdy, upscale dinnerware is made entirely from sugarcane fibers. Microwave and freezer safe, grease- and cut-resistant. Strong dinnerware stands up to heavy meals—perfect for picnics. 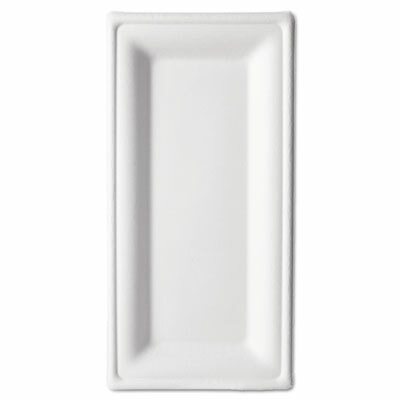 Click here to see more Plates! Capacity (Volume): 24 oz Depth: 1 7/8"
Color(s): Natural White Diameter: 7 11/16"
Capacity (Volume): 16 oz Depth: 1 9/16"
Color(s): White Width: 6 3/8"